It is a rainy Saturday afternoon and the traffic is monstrous. 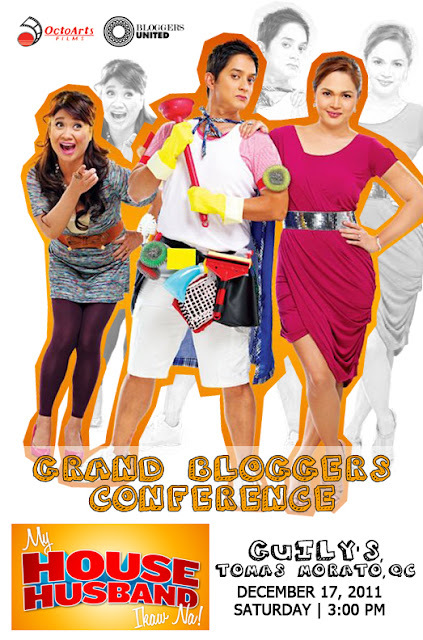 But I am so excited because it is my first time to attend a blogger event. Who would not be excited to finally met Judy Ann Santos- Agoncillo, Ryan Agoncillo and Eugene Domingo up close and personal? Tingnan mo naman ang kilay ni Ryan A. sa poster. One word! Bongga! Ha ha Ralph please accompany your wife to the cinema on Christmas day!